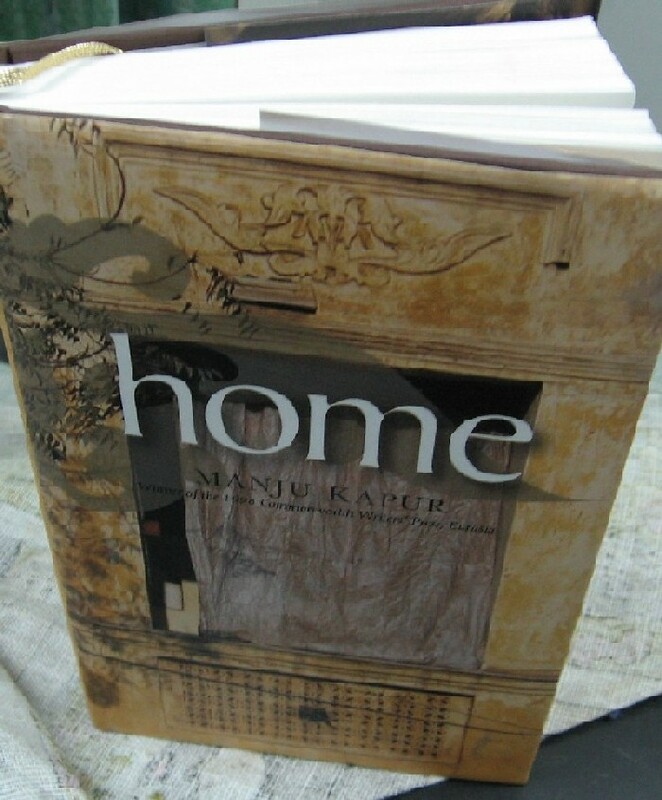 It seems almost improbable that Manju Kapur’s Home should be as stimulating as it is. This is the simplest of stories – the life of a joint family running a cloth business in Delhi’s busy Karol Bagh area – told in the simplest of ways. The style is conversational and there’s nothing too out-of-the-ordinary about the plot. Even when there is strong dramatic tension, it’s presented dispassionately. Besides, this is a fast read (it took me two shortish sessions to get through), and aren’t we taught to believe that page-turners mustn’t be taken too seriously? What raises Home far above its seemingly commonplace concerns is Kapur’s understanding of the inconstancy of human beings and their relationships; of our self-delusions, our manipulating of situations to suit our own viewpoints, the instinct for gossip-mongering and groupism, and how the joint family system provides the perfect setting for the playing out of all these qualities. But this book’s biggest strength is Kapur’s refusal to stand in a position of judgement on these universal human foibles. Without fuss, without any preamble (except for a short introductory para about the workings of the typical lower-middle class business family: “Their marriages augmented, their habits conserved. From an early age children are taught to maintain the foundation on which these homes rest…”), Home draws us into the lives of two sisters, Sona and Rupa. Sona is married to Yashpal, the eldest son in the Banwari Lal clan (in a story about individual needs being repeatedly subsumed by group interests, this family is effectively the book’s protagonist). For the first 10 years of her marriage she is childless, which makes her a subject of resentment and pity (and some gloating) among the other women in the house – it being understood that a woman’s prime function is to serve as the vessel that will bring forth the next generation. When she finally does conceive, her mother-in-law (known only as “Maji”, never by name – an indication of her status as nothing more significant than the patriarch’s wife) promptly starts doting on her – which in turn creates a bridge between Sona and Rupa (who all these years had been her sister’s confidant in gossip about the mother-in-law). Kapur observes these little details masterfully, rarely playing them up but making sure they stick in the reader’s mind. The shifts in relationships, the power struggles within a family, the suppressing of individuality, the selective thinking that can allow a woman to feel threatened and aggrieved by her son’s bride while completely forgetting her own experiences as a daughter-in-law 25 years earlier –all these things are set down with great economy. In a parallel thread, the sad fate of Yashpal’s sister Sunita creates more complications. When she reached marriageable age, Sunita was disposed of as all daughters must be. The stars were favourable but her husband was an abusive lout and now, after her death in a kitchen “accident”, her young son Vicky is brought to Delhi to stay with the Banwari Lals. Confused and uncared for, he is destined to become the family’s black sheep, and he takes his first steps in this direction by sexually abusing his little cousin Nisha. Kapur’s handling of this passage is stunningly matter-of-fact. One minute Vicky and Nisha, brother and sister, are playing together and bantering on the terrace; the next minute he is touching her private parts and then using her little fist to aid in jerking himself off. But what’s even scarier than the actual incident is its aftermath. Some of the elders figure out what might have happened, but bringing it into the open is so unthinkable that the possibility isn’t even discussed; instead they decide to let the traumatised Nisha live with her aunt a few houses away. It’s just something that has to be done; family honour must be preserved at all costs. High-quality fiction can give you insights into lives that are built on value systems completely different from your own. It can make you empathise (if only briefly) with those lives and their foundations; understand the long process, spread over many generations, that has made these people what they are. Home had that effect on me in places. At one point Nisha asks Rupa Masi: “What do you think of love marriages?” and Rupa replies, matter-of-factly and without missing a beat, “They are very bad. Require too much adjustment.” For that one moment, and in spite of everything I personally believe in, I could see the lady’s point – founding a marriage on a single passion that might easily ebb with time can be an imprudent thing to do in a situation where the couple is married as much to the family as to each other. Kapur brings out some disturbing home truths in this novel, yet she does it from an exceptionally mature, detached perspective – suggesting that many of the things that go wrong stem naturally from the human condition rather than from the flaws in any one way of life. She makes her characters believable and sympathetic, and even when we shudder at the repressive ancientness of their beliefs, we can recognise them as being not all that different in their essence from us. P.S. I had a problem with the unevenness of Home’s narrative structure. The book’s first 150-200 pages are freeflowing. Some characters (like Sona and Rupa) are more important than others, but by and large the effect is that of an omniscient narrator wandering into each of the rooms in the large house in turn, spending time with each of the characters; we are privy to the thoughts and personal conflicts of a number of people. But then, in the second half, Kapur decides to focus her narrative on Nisha and this slightly diminishes the effect. Nisha’s story – a failed affair, her struggle for emancipation – is interesting and well-observed enough in its own right, but it feels strange to be suddenly cut off from some of the earlier threads (Vicky’s sudden disappearance is particularly jarring). Good one. It was fun to read such clean, good prose. But I didn't like the narrative stucture of the post. The manner in which the pros and cons were separated cleanly by a postscript. Anirudh: ha ha, thanks. Yes, I know I got lazy there - will try to integrate the two things better when I put together the official review. Nice review, thx. also looking fwd to your review of BHL's American vertigo: in the steps of cointreau. Haven't read American Vertigo yet - hope to soon, but it will depend on how much time I have. 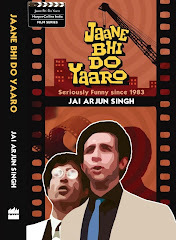 Jai, when I first heard that Manju Kapur's book was based in Karol Bagh, I was deeply interested in reading it. I know that part of Delhi very well, grew up near it, have many friends there, and witnessed in intimate detail the intrigue of many such Bania business joint families. However, your review gives me second thoughts. Because it seems as if Manju Kapur has taken all the pathologies that can potentially appear in joint famiilies and stuffed it into this specific family in her novel. I don't know if this is what you chose to highlight, because when I read the review the potrayal seems so unrelentingly bleak, so without redemption, promise, and challenge to hierarchies. I really have to question Manju Kapur's familiarity with the milieu she describes (based on your review, of course), because this is as stereotypical, cliche-ridden potrayal of lower middle class business joint families as it can get. Swati: could be the review is filtered through my own personal distaste for large families and some of the qualities I associate with herds. But no, this isn't an unrelentingly bleak book by any means - sorry if I've given that impression. Like I implied in the review, there's a certain affection for human beings and their failings (and yes, their strengths as well!) all the way through. It seems as if Manju Kapur has taken all the pathologies that can potentially appear in joint families and stuffed it into this specific family...this is as stereotypical, cliche-ridden potrayal of lower middle class business joint families as it can get. Given that she's telling the story of a large family over more than 40 years, I don't think it's so improbable that all those things might happen - even if you don't allow for literary licence. Think about it: the only two incidents here that might be described as out of the ordinary are Sunita's possible murder and the sexual abuse (though to be honest with you, given the stories I regularly hear, I don't think either incident is all that out-of-the-ordinary). Is it really so unthinkable that both events might occur in a big joint family over a four-decade period? Stereotypes and cliches do, after all, derive from truths. What's more important here in my view is that Kapur's treatment of these topics isn't stereotypical and cliched. I have read the book (really takes very less time, i completed it in 1 day), and liked your review. It has come up really well. I've just read the book and really enjoyed it though I had the same problems as you about Vicky's disappearance etc. I just finished this book and so enjoyed it that I googled to learn if a sequel is in the works, finding your blog along the way. 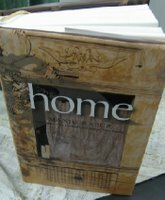 Although Home is a story about an Indian family, Manju Kapur weaves universal truths about the complexities of extended families and the pull of tradition against modernity. Many of the interactions and sentiments among the Banwari Lal's share characteristics with my large Italian American family- warts, strengths and the perfectly described "knives that wound and the gestures that reconcile" when falling against the grain of enmeshment of needs in a large family. I hated saying goodbye to the Banwari Lal's and really hope that she revisits them. I liked the book but what the hell is the secret the book talks about which threatens to rock the foundations of the banwari lal family?? I cooked up few scenarios to predict what it cud be but was left disappointed when it did not at all come up or I have missed something? This is such a great blog, it really helps, Your blog is nice and informative. Thanks for the article. I have recently read the book. I feel that this was authors early work. He was maturing into becoming a decent writer.